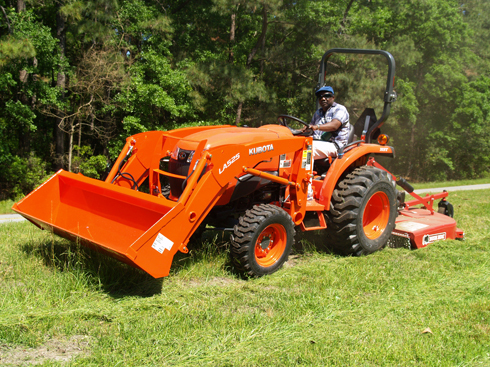 Skidaway Institute got a significant upgrade in grounds maintenance equipment with the recent purchase of a new Kubota front-mount mower and a Kubota front end loader. Both were purchased through UGA Mart on a state contact. They replaced similar existing equipment that were roughly 20 years old. The Skidaway campus’s newest residents are the honeybees (Apis mellifera) living in these hives behind the BERM facility at the far north end of the campus. 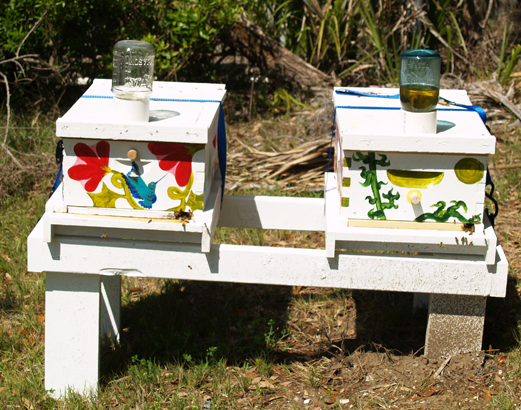 The hives are the project of Barbara Phillips, a retired physician, avid beekeeper and member of the Coastal Empire Beekeepers Association. Jay Brandes and Dodie Sanders are interviewed by WSAV’s Martin Staunton. 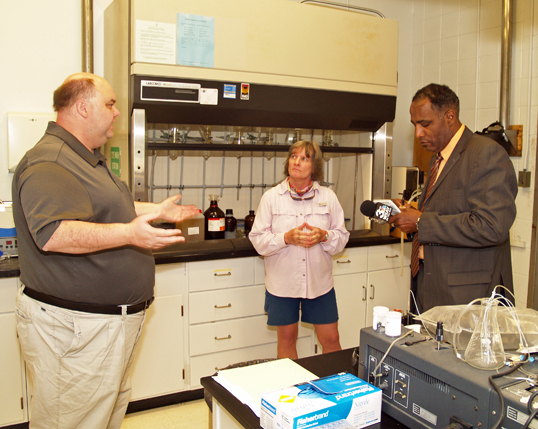 SkIO’s Jay Brandes and MAREX’s Dodie Sanders were interviewed by WSAV-TV reporter Martin Staunton. The primary story was aired in several segments during Coastal Sunrise on April 3, and later repeated in other WSAV newscasts. 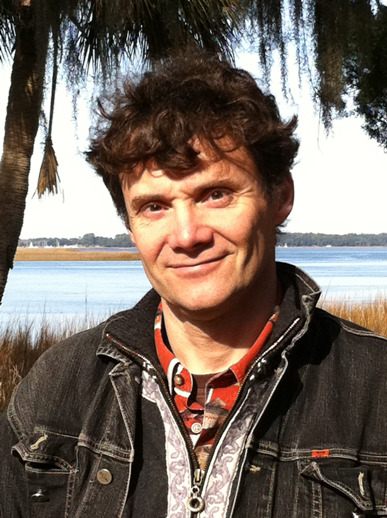 Skidaway Institute scientists Jens Nejstgaard was a leading scientist in an Association of Public and Land-grant Universities (APLU) initiative to produce “Science, Education, and Outreach Roadmap for Natural Resources.” The report details six “grand challenges” facing the United States in the areas of sustainability, water, climate change, agriculture, energy and education. The report recommends a series of research, education and outreach activities to meet these challenges over the next decade. 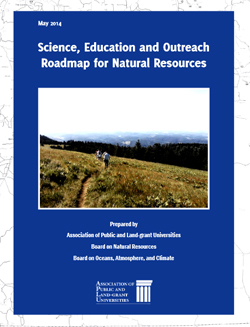 Nejstgaard was one of a team of 35 scientists who authored the roadmap after receiving significant feedback from 130 researchers at public and land-grant institutions across the country. The U.S. Department of Agriculture sponsored the report through a grant to Oregon State University, which then partnered with APLU. MAREX’s Mare Timmons was invited to the 4th Annual Research Conference (ARC) and Research Infrastructure in Minority Institutions (RIMI) as a science judge for graduate students in marine biology and coastal resource management. The guest speakers for this April 8th event included Lt. Colonel Willie B. Williams, research portfolio manager, NASA research office. His presentation was focused on identifying and changing career tracks. 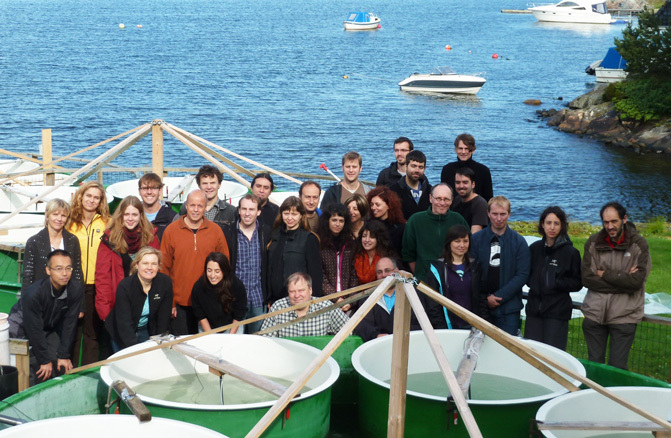 SkIO scientists Catherine Edwards, Bill Savidge and Aron Stubbins have joined other UGA faculty on an initiative to coordinate strategies for several large proposal calls having to do with sustainability and interdisciplinary science. The project is titled “COAST-UGA: Coastal Ocean Advances in Sustainability and Technology at UGA,” and is funded by a $50,000 grant from the UGA Office of the Vice President for Research. The team also includes UGA faculty Brock Woodson, Jenna Jambeck, Jason Christian, Ke Li, Mandy Joye, Christof Meile and Renato Castelao. According to the proposal, COAST-UGA will focus on designing the next generation of tools and technologies to address emerging coast threats; training the next generation of scientists and engineers to tackle sustainability issues; and providing an infrastructure to catalyze cross-disciplinary research collaborations. In addition, the initiative will integrate stakeholders and decision makers to provide decision-relevant information and involve educators, underrepresented groups and the public through interactive resources.